Well. I think B2B advertisers and marketeers can always learn from the ads in consumer markets. There is just more money hence more creativity. 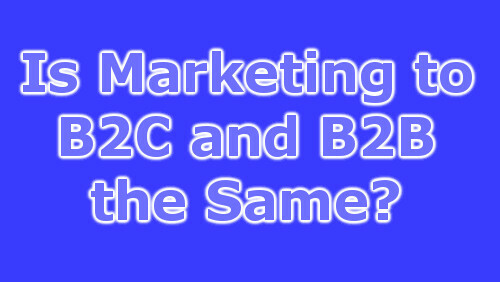 + In many cases B2C companies do just brand advertising which is too ineffective for many B2B companies. IMHO they need to go more towards direct response. + Just choose what you model with a big deal of consideration. + However, most B2B companies lack in putting out enjoyable ads and content. That's for sure. Saved as a favorite, I like your blog.